The Institute of Valencian Studies announces the announcement of two new prizes within the Valencian cultural world: the Lluïs Alcanyis Research Prize and the Manuela Soiís Claras Creation Prize. These awards want to be a tribute to those leading figures of Valencian history, promote research and creation in the Valencian language. One more year, on the occasion of the European Day of Languages, the Institute of Valencian Studies and the Aragonese Center of Valencia organizes a cultural meeting where poems and folktales will be read; among others, the Aragonese, Provencal, Valencian and Neapolitan languages ​​will be represented. This third edition has the presence of Massimiliano Verde, president of the Napolitana Academy, who will read some poems in Neapolitan. 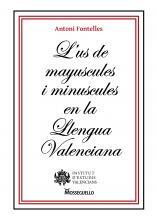 One more year, on the occasion of the European Day of Languages, the Institute of Valencian Studies and the Aragonese Center of Valencia organizes a cultural meeting where poems and folktales will be read; the Aragonese, Provencal, Bable, Galician and Valencian languages ​​will be represented. This commemoration is an initiative of the European Commission and the Council of Europe in homage to the linguistic diversity of Europe representing 800 million citizens of 47 countries. This weekend, Saturday 7 and Sunday 8 April, will be held in the Provencal town of Saint Martin de Crau, Provence, the Forum des Aulnes. It is a meeting of Provencal associations that defend the identity of the Provencal language and culture. Recall that numerous institutions, associations and cultural groups of Provence have developed for a long time an important seed of recovery and dissemination of their autochthonous culture. On the occasion of the International Mother Language Day, the Napolitana Academy for the Neapolitan Language and Culture, chaired by Massimiliano Verde, collaborator of several international projects for the promotion of the Neapolitan language and culture, offers his collaboration, for the preservation of the linguistic diversity and the plurillingüisme. In response to the Sustainable Development Goals, encourages the promotion, through the millennial and universal humanistic message of the Neapolitan cultural identity, the teaching and preservation of its linguistic heritage that is an integral part of a millennial historical-cultural and artistic heritage and international. In fact, in the proposal to UNESCO to insert the Historical Center of Naples in the list of the goods of humanity, ICOMOS - International Council of Monuments and Sites - highlights the next uniqueness of Naples: UNESCO recognizes that city exceptional universal value that has had a profound influence in many places in Europe and the world. This cultural heritage is the heritage of all humanity: http://whc.unesco.org/en/list/726. Presentation of the book "Cronologia elemental de l'historia valenciana"
Tomorrow, Friday June 30 will be the presentation of the book "Cronologia elemental de l'historia valenciana " of the section of History and Ethnography. The presentation will be made at the GAV headquarters (Julián Peña, 3 bajo, street. Valencia) at 8:00 p.m. It will have the director of the section and author of the book: Albert Cuadrado de la la Flor who will also sign copies of the book. Read more about Presentation of the book "Cronologia elemental de l'historia valenciana"